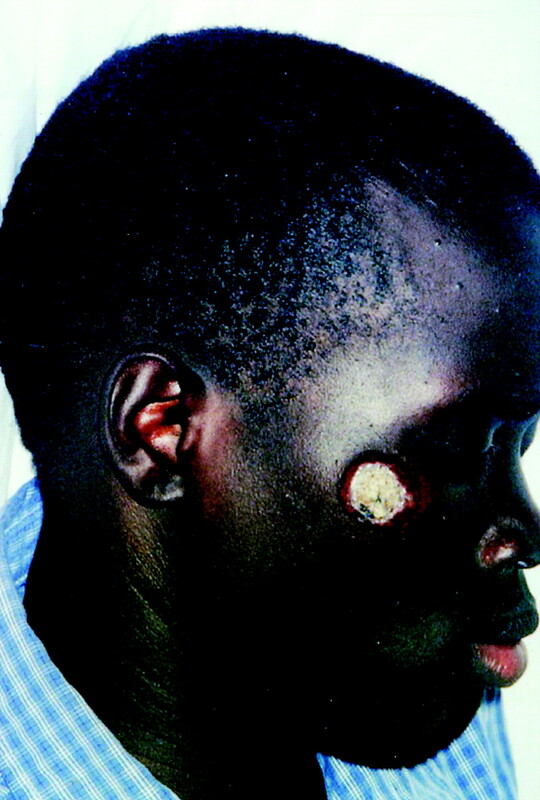 A 21-year-old man from Sudan presented with a large facial mass. During the 3 months after his arrival in Canada, it had gradually grown to a roundish raised lesion 3 cm in diameter (Figure 1). Although there was local pain, there was no discharge, fever, or weight loss. No local lymphadenopathy or hepatosplenomegaly was found. 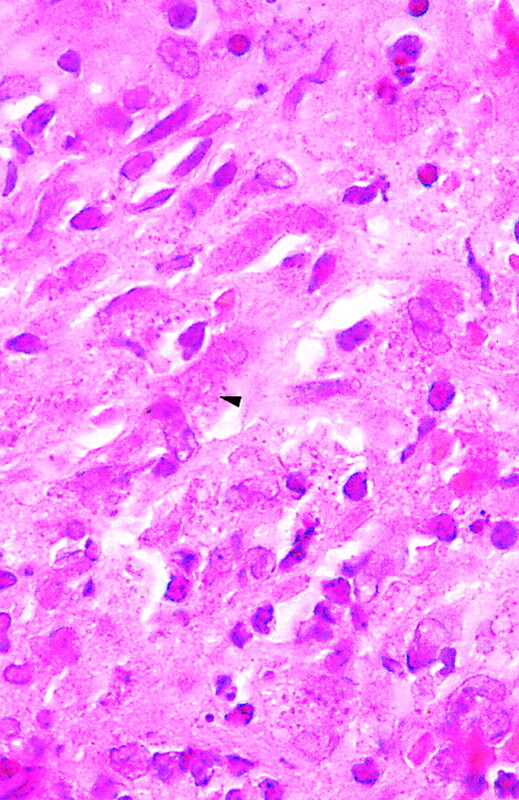 A biopsy of the lesion showed many tiny roundish and basophilic structures within macrophages (Figure 2). You are going to email the following Question: Can you identify this condition?